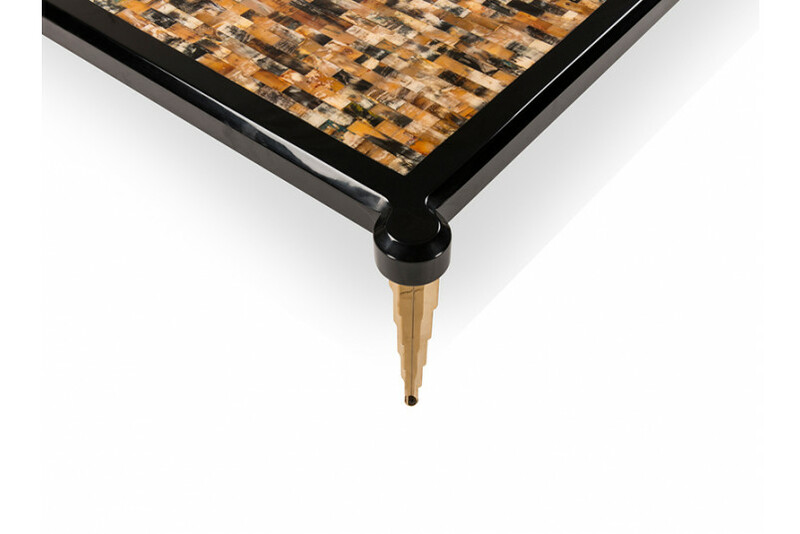 Di-Gran coffee table made of lacquered wood and pieces of ox horn aptly matches the mood for a more authentic coffee environment. The table featuring stainless steel legs with PVD coating offers timeless and classic elegance for your living space. The coffee table with ox horn natural colors and patterns on display, makes the space feel more intimate.